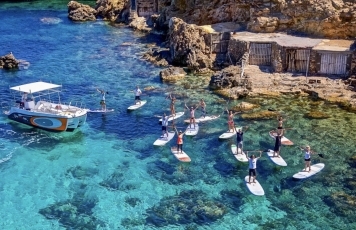 Sup Paradise Ibiza will show you more wonderful places than you can imagine. Rubén, your experienced native trainer, is eager to share with you the hidden paradise of Ibiza. 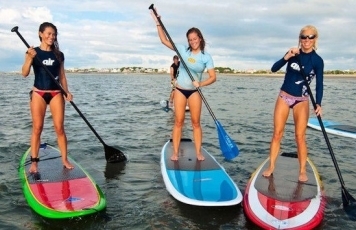 The excursion begins in San Antonio aboard the new boat designed specifically for SUP activities. You will be greeted with a welcome cocktail and then you will travel to the selected destination while enjoying the coastal scenery of Ibiza. 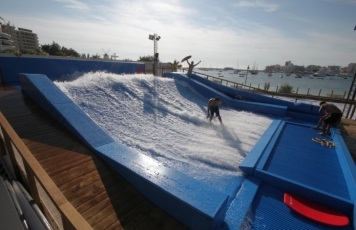 Enjoy one of Ibiza's most unique and fun packed locations, Surf Lounge Ibiza, situated in the lively San Antonio Bay area, with the only Flowrider, an artificial wave machine, on the island. An activity for all to enjoy as no experience is necessary, beginners welcome.